Racoon International is the unrivalled hair extensions market leader in the UK and is regarded as the best hair extension system all over the world. 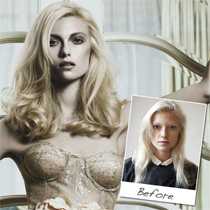 From an instant fringe, sharp bob or luxurious long hair, Racoon extensions can totally transform your image. 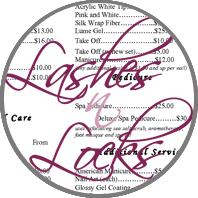 Applying hair extensions requires real skill so it is vital to get the job done properly. Racoon International supply us with hair extensions education programmes that are in a class of their own. Quite simply, no other hair extensions company can offer us the diversity and quality of our educational partnership with them. WHERE DO YOUR RACOON HAIR EXTENSIONS COME FROM? 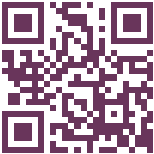 Racoon International use a well established supplier network to source our Human Hair. 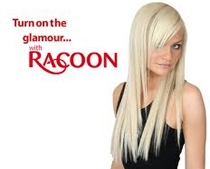 The suppliers used by Racoon International have been supplying hair to both the wig and extension industry for generations and now work exclusively for us and have done so since our creation in 1995. Racoon are proud to be able to give you our guarantee of ethical sourcing and are confident in doing so due to the regular monitoring of our suppliers to ensure that the hair continues to be sourced ethically. Our hair is sourced from Indian Temples using the same traditions and standards that have been used for the past 100 years. The donation of hair, often referred to as tonsuring, is a Hindu tradition that is thousands of years old; the people who donate their hair do so as a sacrifice to the gods to either give thanks or to ask for help. The temples then use the money from the sale of the hair to feed the poor and to provide much needed resources within their communities. Racoon is very proud to support these communities via our hair suppliers and will continue to supply hair which is both ethically sourced and widely acknowledged as the best available on the market today. Racoon International is the only dedicated hair extension company to achieve the British Standards Institute ISO 9001 accreditation (BSI kite mark of quality) and has maintained it for the past 5 years. Every year Racoon are audited by the BSI and have to prove that we manage our suppliers to achieve the delivery of quality products to our customers, we then have to also prove that our customers are satisfied with our products through in depth Customer Surveys. Racoon International will always conduct its operations in a professional, ethical and responsible manner to ensure that salons and customers receive the highest quality human hair available for hair extensions. Using Racoon hair extensions, I am able to carry out a full range of natural colour matches and ensure a quality addition to your hair. Before carrying out any hair extensions, I will complete a full FREE consultancy.